New Item! Expected to Ship 05-14-2019. It's easy to travel with gig-ready bass tone. There are many small bass amplifiers, but none that sound like their full-sized counterparts. 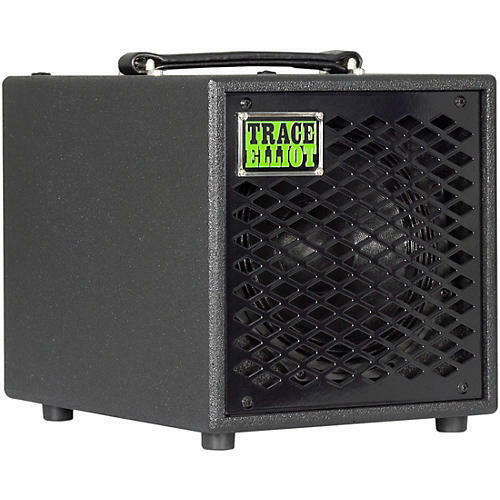 For the tone of a big bass amp that you can carry in one hand, the Trace ELF Combos take the finest speaker components on the road in a portable package. These combos are purpose-built to amplify your skills and the tone of your instrument. Ultimate tone and portability. The integrated Trace DI is ultra quiet allowing you to easily send your optimized tone to the house. Also perfect for recording applications. Got a big gig? Take an ELF combo and a 2x8 or 1x10 speaker cab and have more than enough power.